This California native is at home in rich, well-drained soils, but is adaptable to a range of soil types. 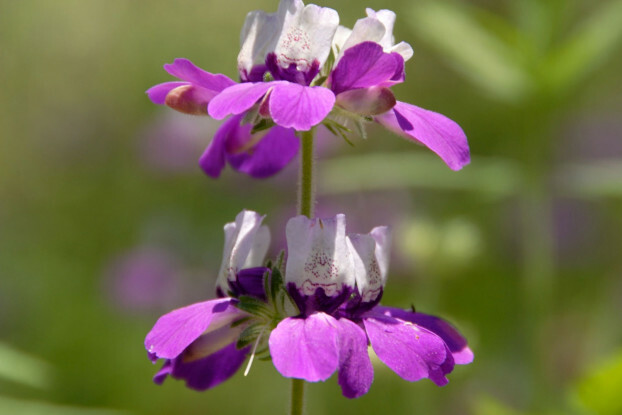 Chinese Houses produce spires of delicate purple and white flowers and blooms from March to June. The flowers resemble pagodas, giving this annual wildflower its name. It can grow anywhere from one to two feet tall and prefers shadier areas, although it can handle partial sun. It readily self-seeds and will come back year after year.